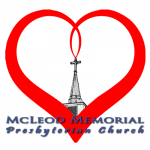 Nehemiah :: Sermon Tags :: McLeod Presbyterian Church - Bartow, FL. “The greatest weakness of the Church today” states rev. Carson “is the lack of understanding of the Bible.” As he outlines comparisons to ancient civilizations, listen as he shares a message on the importance of having a deeper understanding of the Bible in today’s age.